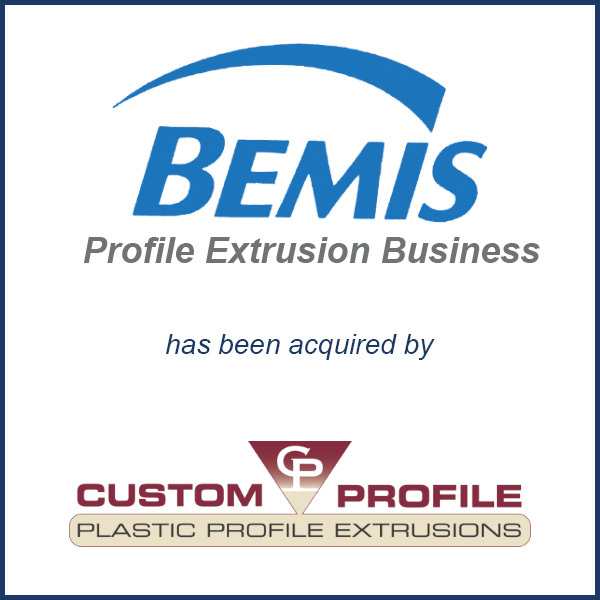 Sheboygan Falls, WI – October 2016 – Extrusion specialist Custom Profile of Walker, MI has acquired the profile extrusion business and related assets of Bemis Manufacturing Company. Custom Profile plans to move 10 of the 12 acquired extrusion lines to its new facility in Grand Rapids, MI. The remaining extrusion lines will move to the company’s Juarez, Mexico facility. Based in Sheboygan Falls, WI, Bemis Manufacturing Company is well known for making toilet seats among a wide variety of products. But the company decided in 2015 to divest of its profile extrusion business. “It’s just really a great opportunity for us,” said John Boeschenstein, CEO at Custom Profile. “We found that it was an extremely good fit on both sides,” he added. The acquisition will give Custom Profile access to new markets such as medical and automotive while expanding its reach in the office furniture market. “It’s an opportunity and it fits into our long-term plan to grow the business. We’ve done it all organically up until this point.” Boeschenstein said. Impacted employees are being given the opportunity to work for Custom Profile in the Grand Rapids, MI area or be absorbed into other Bemis positions in Sheboygan Falls, WI. Custom Profile is owned by Grand Rapids-based Blackford Capital. It was the first company to be acquired under Blackford’s Michigan Prosperity Fund, which targets mature manufacturing companies based in Michigan. Molding Business Services of Florence, MA served as the exclusive advisor to Bemis Manufacturing Company in connection with the deal. Click here to read the entire Plastics New article.